Despite facing plenty of controversy over its proposed Terms of Service changes, Instagram remains a hot site for both users and the marketers who want to capitalize on its popularity. If you've never used it before, Instagram is one part Flickr and one part Twitter: essentially a community in which users take and share photos with one another. Before you post your first image to Instagram, plan out a content strategy for the types of images you'll share and how these graphics communicate your brand's message. Although plenty of people use Instagram for personal purposes -- posting everything from pictures of their lunches to their pets -- businesses must be more strategic. To start, identify potential followers by seeing who's following your competitors on the site. Then, take a look at the images they're liking and sharing and consider their preferences when defining your own content strategy. That way, you should ensure that any image you post to the site will appeal to your new followers. What types of content do my potential followers seem to prefer? What types of content will most likely encourage these Instagram users to engage with my brand? Once you have a feel for the types of content you plan to share on Instagram, you'll find that it's worth brushing up on your photography skills. Users on the site can be extremely picky about the images they "like." If your photos tend to have red eyes and chopped off heads, either take a class on photo composition or outsource picture taking to more qualified photographers. Working with local art school students, for example, is one way to capture aesthetically pleasing images at a lower cost than hiring professional photographers. In addition, be aware that Instagram users are accustomed to seeing images that have been enhanced using either the site's built-in photo filters or other manually produced effects. Again, if you don't yet know how to apply filters to your images, you can either read more about using them or outsource it to photo editors using sites like Fiverr or Elance. Use brand-specific and generic hashtags on all your images. As on Twitter, Instagram users search by hashtags to find interesting new content or to follow subjects they're interested in. As a result, it's important that you use both brand-specific and generic hashtags on all the images you upload to the site. Brand-specific hashtags are those that you create based on your company's name, products, services or other defining features. For example, if your company runs an industry conference, using hashtags like #companyname and #our2013event can help Instagram users engage with more of your business's content. At the same time, generic hashtags -- formatted like #ourindustry or #producttype -- can help your company's Instagram account gain traction among people who aren't yet familiar with your brand but use the site to seek information on topics that interest them. Engage viewers by using geolocation and gamification tools. Use Instagram's geolocation feature to tie your images to specific places and provide potential followers with another point of engagement. Turning on this feature -- referred to as "Photo Map" -- helps alert users in your area to your presence and can be used as a jumping off point for connecting with new followers. Turn your activity into a game. On Instagram, you can do much more than just upload a few images and wait for people to follow your brand. You can run contests that encourage followers to submit their own pictures under your company's hashtags, create caption contests, or upload "mystery photos" that encourage users to solve puzzles while learning more about your company. Certainly, Instagram marketing isn't the right fit for every company. That's why it's important to confirm that your target audience is actually using the site before engaging in the techniques described above. If you do find clear evidence that your user base is active on Instagram, make it a priority to use these techniques to take advantage of this promising new marketing channel. 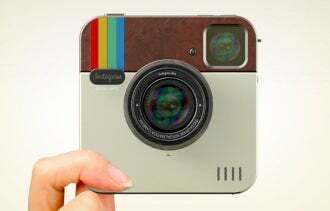 Related: Is Instagram on the Web Worth It for Your Business?